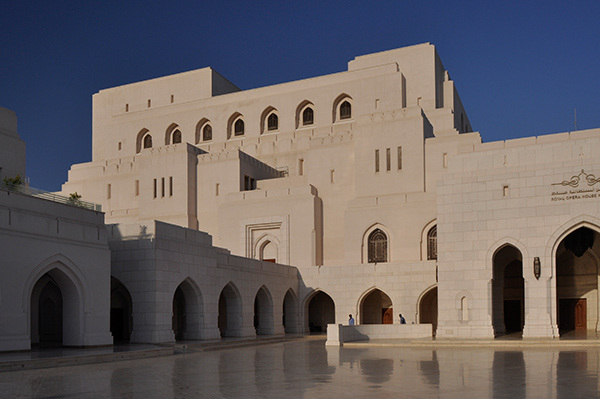 The social significance of Mr. Nazeer Khan’s architecture. Minarets are tower-like structures usually associated with mosques or other religious buildings. They contain platforms, reached through stairs built inside the minaret, on which the ‘muezzin’ stands to call Muslims to prayer. In trying to understand how the tower got its special meaning in Islamic societies, scholars have attempted—with mixed success—to trace minarets back to various traditions of tower building in the pre-Islamic cultures of Eurasia. Over a century ago, for example, A. J. Butler, the British historian of Roman Egypt, speculated that the multistoried form of the typical Cairene minaret of the Mamluk period might have been derived from the Pharos (lighthouse) of Alexandria, one of the wonders of the ancient world, which—although long destroyed—is known from descriptions by ancient writers to have been square in the lower part of its shaft, octagonal in the middle and cylindrical at the top. Butler’s contemporary, the German architectural historian Hermann Thiersch, elaborated this theory by publishing a detailed study of the history of the Pharos. He showed that the ancient tower had stood well into Islamic times and could have inspired Mamluk builders in Egypt. By April 16, 2015 medina-net, has completed its fifth year. On this occasion we would like to congratulate all colleagues and friends who contributed in building its platform and to students who enlarged its popularity and made it a source of knowledge on Islamic Architecture and Cities. For sure that the site cannot be sustained without their help and contributions. And perhaps the pressing need now is to activate the Arab section and the establishment of the French section in addition to the existing English section. The mysterious effect of the Casbah! Le Corbusier came to Algiers almost by chance. On the occasion of the centennial celebration of French rule in 1931, a new city plan was unveiled by Henri Prost and the French colonial government. Le Corbusier deeply disapproved, and saw it as an opportunity wasted; he wanted to offer the French colony a bold plan that would raise Algiers to the level of an international city. He argued his case to the colonial government by relying on the anti-capitalist flavor of the month, “Syndicalism,” which intended to structure political power around regional industry. He declared that because colonization was over (the startling, naive general opinion of the time), Algiers was destined to become the world capital of Africa, and thus complete his fantasy of a diamond of Mediterranean centers including Barcelona, Marseille and Rome. Without any formal commission or invitation, he took it upon himself to design and submit his own sweeping scheme, called the Plan Obus. The thing is Medinanet is bieng targeted by various hackers; the last attempt made some severe damage to the site. however medinanet Alhamdolilah has recovered. The recovering processes involved including more security procedures to medinanet and for that some articles’ links and IDs changed. Kindly if the error shows, consider using the search tool to search for the article; any word in the title would do…as that might be the reason.